Meet model Jach Manere aka Pia's twin! 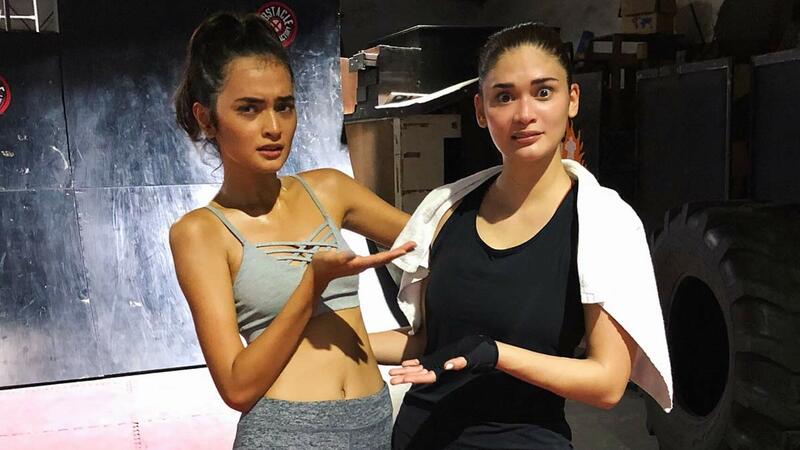 Model Jach Manere shared photos of her workout session with Miss Universe herself, Pia Wurtzbach. People have been pointing out that Jach looks like a cross between Pia and Kapuso actress Kris Bernal. The model doesn't seem to mind the comparison and captioned her photos with Pia with "Mirror selfie." The two posed for goofy similar poses, and Jach tagged them with "#ThereReallyIsJustOnePerson" and joked with commenters with the hashtag, "#ohayannakayoangkukulitnyo." Jach is reportedly part of Asia's Next Top Model Cycle 6 and one of two representative models from the Philippines.